Hey Guys! I forgot to give you guys my WW recap from last week…….. I lost 1.6 pounds! I have lost a total of 28 pounds in just a little over a year! In the last month I have lost the 5 pounds I gained at Christmas. This is probably the easiest weight I will loose all year…..just eating normal again and not having Christmas indulgences made this a rather easy 5 pounds! So I am back and ready to loose 12 pounds this year!!!!! How did you guys do? I made a new recipe on Sunday and it was SO yummy….this would be a perfect Super Bowl dinner if you ask me……. 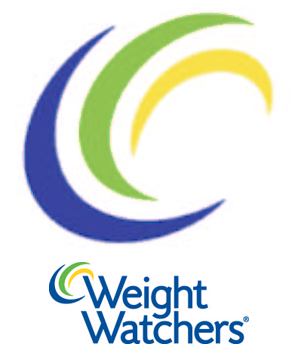 Weight Watchers Cheesy Chili Mac – 7 points per serving! Stir in undrained tomatoes and their juice, tomato juice, chili peppers and chili powder; bring mixture to a boil. Stir in macaroni and beans; return to a boil. Reduce heat, cover and simmer until macaroni is tender, about 15 minutes. 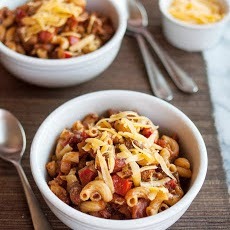 Spoon chili into bowls and sprinkle with cheese. Yields about 1 cup chili and 1 tablespoon cheese per serving. YAY for 1.6! You are doing awesome.Here is my check-in:I lost 1 lb (total of 26.8…I only need to lose 1.2 this week to get my 10% charm. I also got my keychain this week for attending 4 weeks (your 25 pound medals and charms go on it). The 4 week keychain is something new they started this year.I really wish they did the same things for online people. Or do they? I think y'all deserve it. Having to do it without the support of a room full of people and a leader teaching you a weekly topic. I learn more by hearing it and seeing it, then reading though.Here is to another great week for both of us!